NIAFG will host its first ever TEAM event. 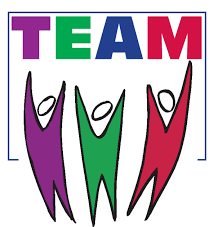 TEAM stands for Together Empowering Al-Anon Members and is a joint effort between our Area and the World Service Office (WSO). Here’s some information about it, stay tuned for more information as planning takes shape. What it is: A day-long service event tailored to the interests of local members prepared by our Area in partnership with the World Service Office. The Area and World Service Office Task Force will work together to plan an agenda of workshops and presentations that address the Area’s specific needs and expand members’ understanding of our worldwide fellowship. A minimum of three representatives from the World Service Office — volunteers and staff members — will travel to NIAFG and participate. When: Saturday, November 12, 2016 (tentative time is 8:30-3:30) lunch will be included.